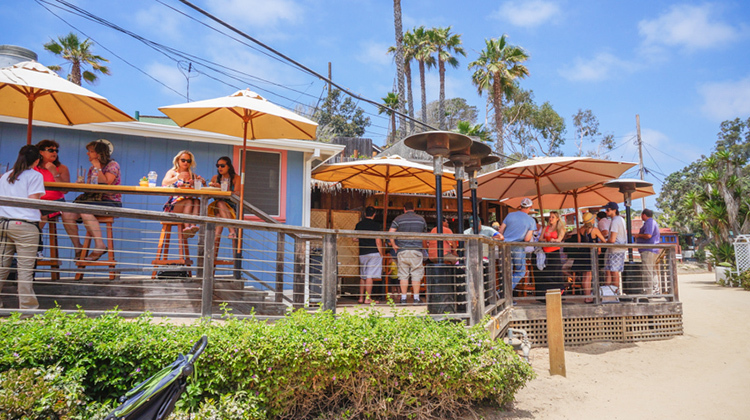 The coastal California getaway known as Crystal Cove is about as hidden as it gets; driving along the Pacific Coast Highway you would never know what awaits below unless you’ve been there. 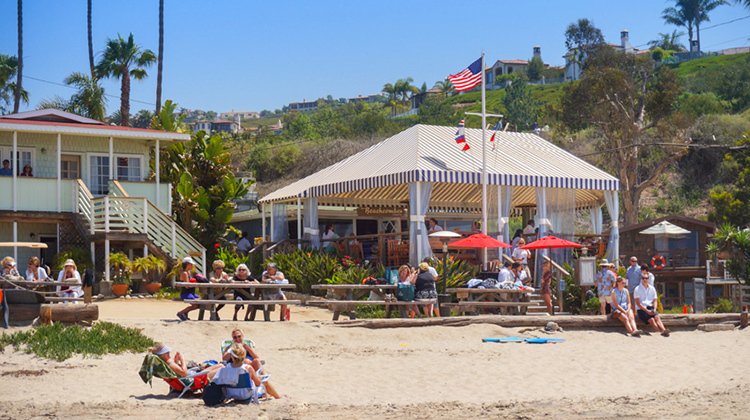 Each year, over 25,000 visitors stay here in California’s last surviving historic beach community which flourished from 1935 to 1955. It is an excellent spot for families exploring the tide pools, cocktails with friends, passing through on a road trip, or a romantic stay in the beach cottages. I can’t think of a more perfect getaway, being only one hour away from both Los Angeles and San Diego. Crystal Cove is a California State Park and historic district with 3.2 miles of beach and 2,400 acres of undeveloped woodland popular for hiking, mountain biking and horseback riding. The waters are popular with swimmers, surfers and boogie boarders, while the nearby promenade offers some retail therapy for shoppers. 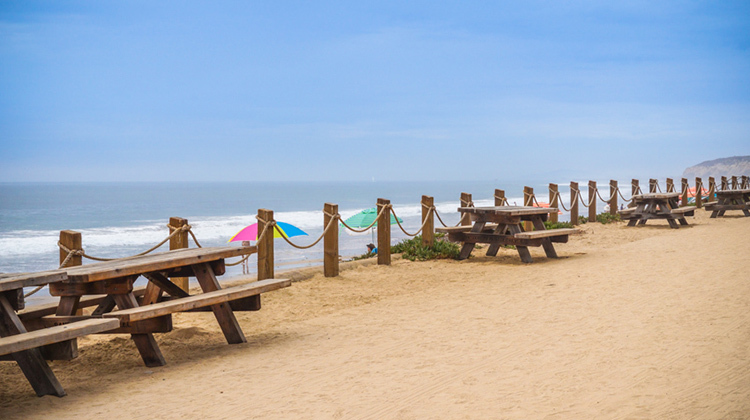 If you decide to enjoy the beach for the day perhaps unprepared, the Beachcomber Café rents out beach chairs and umbrellas, and has a shop where you can buy beach games, sunscreen, boogie boards, and more. The sandy coves and tide pools are a lot of fun to explore because you’ll find colorful sea life without having to search far. 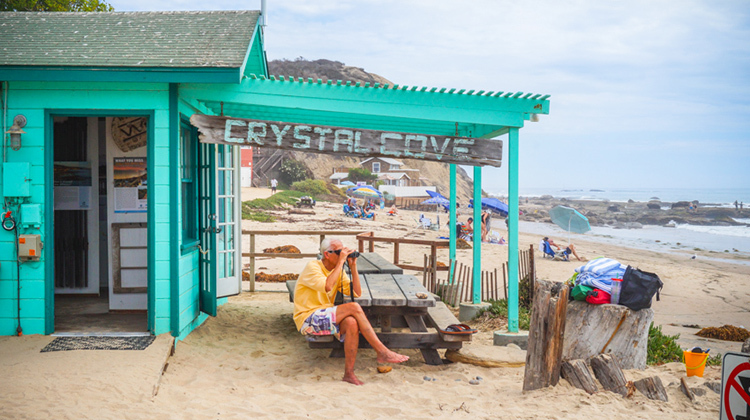 The Crystal Cove Beach Cottages were built as a seaside colony in the 1930s and 40s. Sixteen of the original forty-six cottages are currently offered as overnight oceanfront rentals for visitors, fully restored to capture the charm of the lifestyle here in the 1940s. Though their calendar is sometimes booked up, it can’t hurt to get in touch because they do have last minute cancellations. How Do I Get to Crystal Cove? 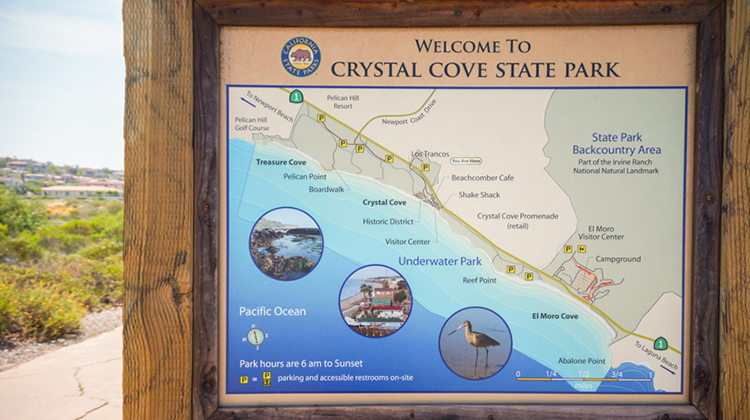 On California’s Newport Coast, keep your eyes peeled for a sign that says Crystal Cove State Park. 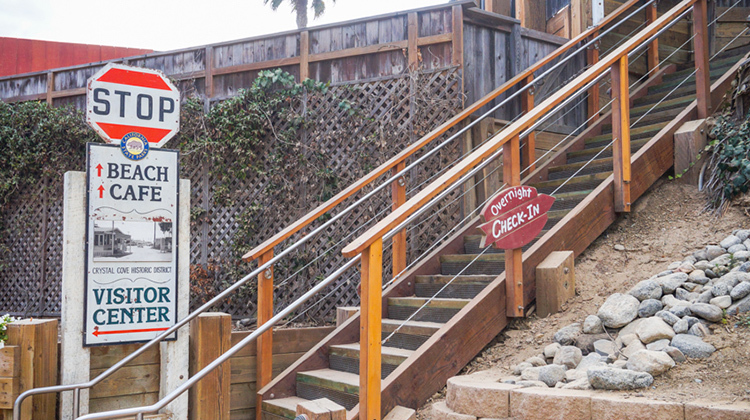 Parking is located right across the street at the Los Trancos parking lot (east side of Pacific Coast Highway). A shuttle comes every few minutes to take visitors across the highway and down to the beach; it’s pretty simple. 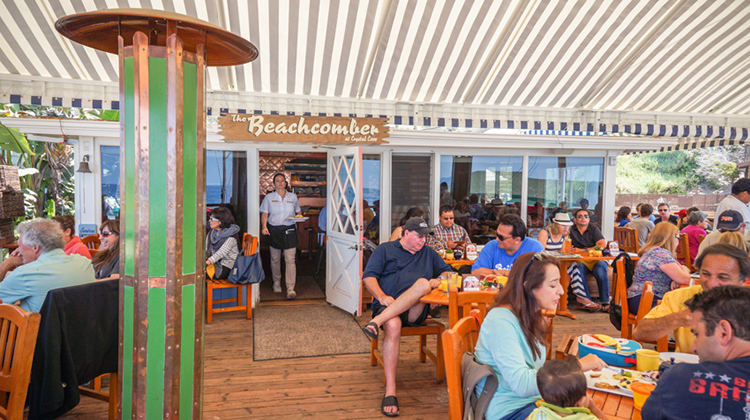 The Beachcomber Café will validate for 3 hours of parking with a purchase of $15.00 or more, so don’t forget to get your parking validated. 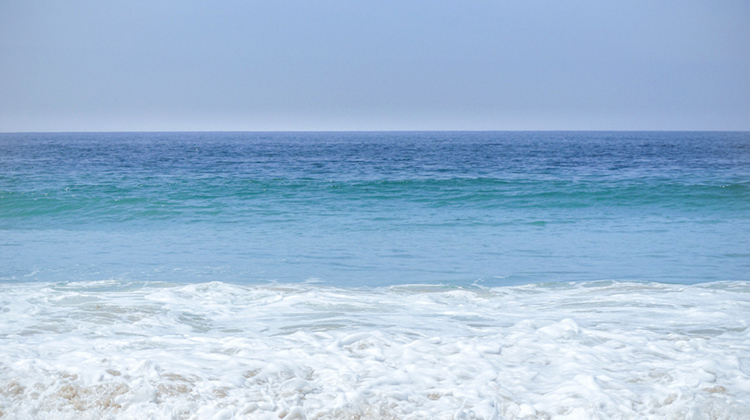 The ocean is uniquely vibrant at the Crystal Cove State Marine Conservation Area. An overnight cottage on the left, and the Beachcomber Café on the right. Beer, cocktails and sunshine at the Beachcomber bar. 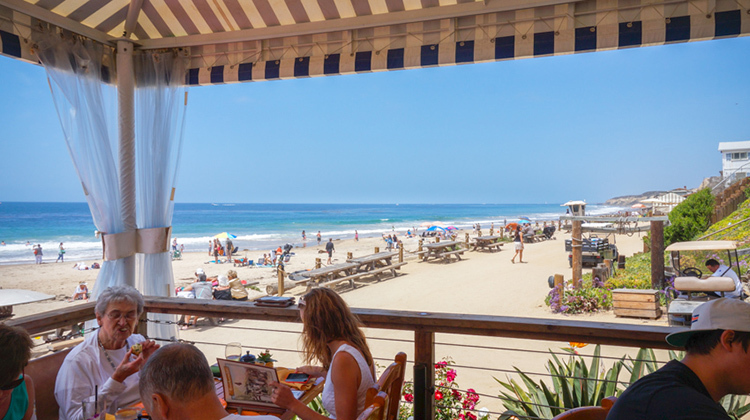 Enjoy the crisp sea air at Beachcomber Café’s oceanfront dining deck. Not a bad view for lunch. Why not make a day of it? This is the Beachcomber Café waiting area. Seriously. 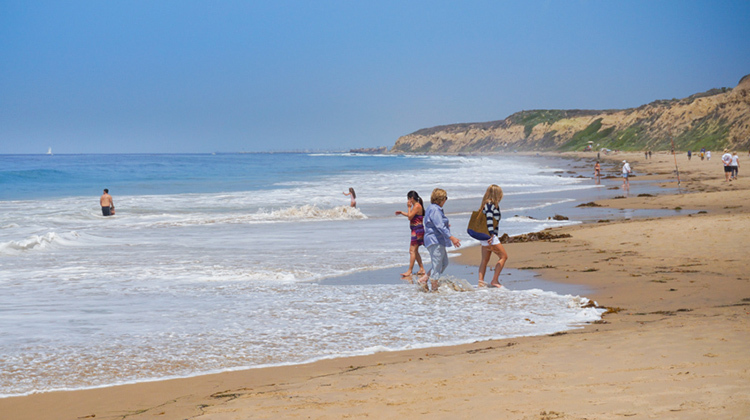 People play in the water at Crystal Cove beach surrounded by seaside cliffs. 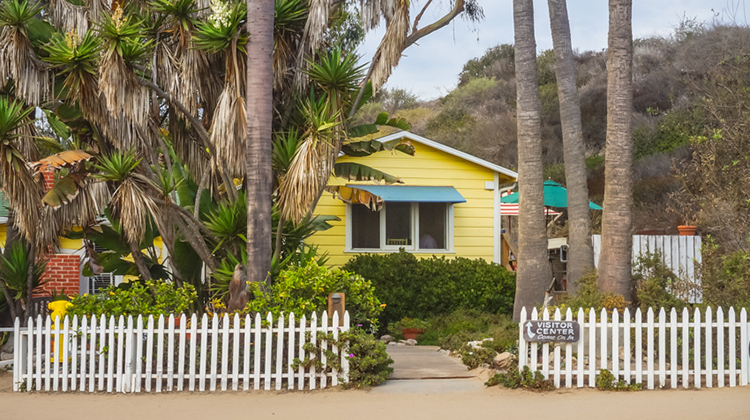 Check-in for an overnight stay at the Crystal Cove Cottages. The Visitor Center is inside one of the original beach cottages. This map might give you an idea of what you will find at Crystal Cove. Thank you so much for visiting. Your support means a lot to me and I hope you enjoyed something here!